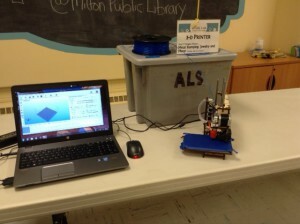 Makerspaces are a popular service offering in all types of libraries. But having a dedicated makerspace isn’t always feasible because of budget, space or staff constraints. Guest blogger Laura Damon-Moore, assistant director of the Eager Free Public Library in Evansville, WI, describes one solution: a shared mobile makerspace. 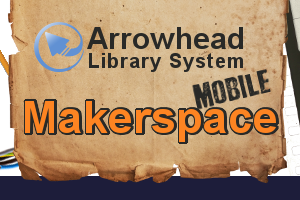 The Arrowhead Library System (ALS) Mobile Makerspace launched in spring 2014, and over the past year it has proven to be a successful model of a shared equipment system among 7 small to mid-size libraries in southern Wisconsin. 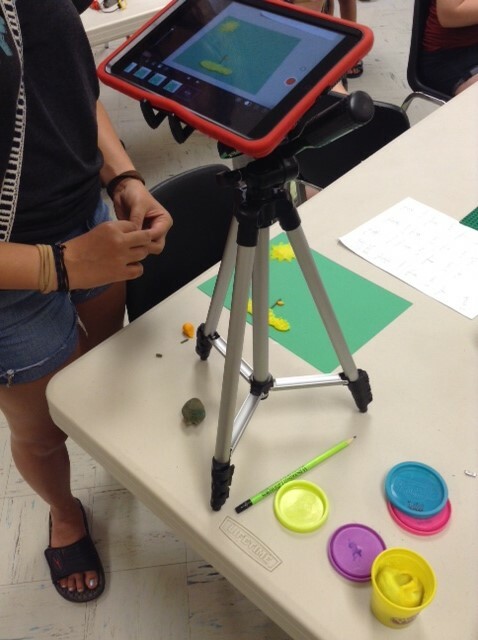 Our Mobile Makerspace consists of iPad® minis loaded with creative apps, such as StopMotion and comic makers; 2 digital video cameras; tripods; a tabletop microphone; 2 iMac Pro laptops; LEGOs® and PlayDoh®; a sewing machine; a 3D printer and more. Our complete equipment list is available here. The equipment was paid for through Library Services and Technology Act (LSTA) grant funds. With new grant funds, we will add more equipment, including Makey Makey™, LEGO Mindstorms, snap circuit kits and additional iPads. The equipment is housed at the library system’s office. Melody Clark, System Administrator for ALS, acts as the equipment coordinator. The equipment is sent to the various libraries through our system delivery bins. Instructions are taped to each makerspace bin so the receiving library knows where to send the equipment next and by what day it must be sent. 3-D Printer and delivery bin. ALS libraries use a web form to request equipment. A Google calendar tracks when equipment has been reserved by other libraries so library staff are able to plan for their program needs. I’ve found that I can usually get the equipment that I want when I want it — but I do need to make sure I’m planning well in advance! Communication with staff has been essential in creating the Mobile Makerspace. During the most recent round of grant applications, staff had an opportunity to give input on what equipment to add to the makerspace. I feel comfortable throwing in my two cents to request new materials or more of popular items (in particular, iPad minis, which tweens love). I am incredibly grateful that we have the Mobile Makerspace as a resource, because my library does not have the budget or the space to devote to a lot of equipment. With the Mobile Makerspace, I can plan and host a resource-intensive program (for example, a series of stop-motion animation workshops) without spending a great deal of money! 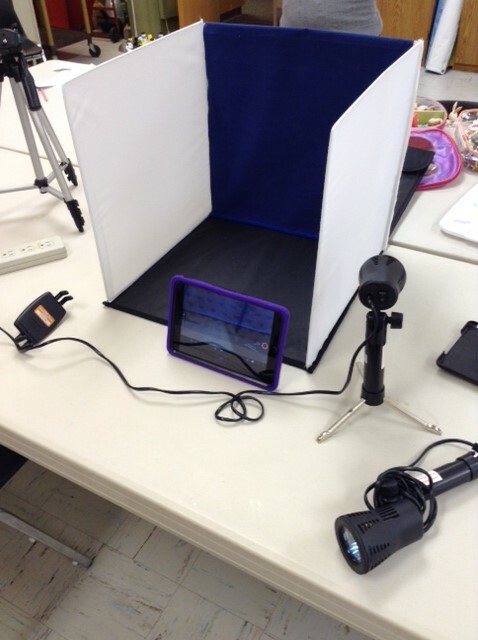 Stop Motion with an iPad and PlayDoh. A mobile makerspace won’t work for every library system, of course. Arrowhead is a small system, with only 7 libraries. It is a mix of small rural communities and larger, more urban (and typically under-resourced) communities that benefit from a shared equipment system. Do I wish that my library had a dedicated, permanent makerspace with all of this equipment? Perhaps. But I’ve found that hosting smaller program series is a good way to introduce community members to “making” in libraries, laying the foundation for a bigger project in the future. Is your library considering a mobile makerspace? Feel free to share your thoughts and ideas in the comments section.